PMC has led a revolution in the lawn and garden market. Barrier Plus flowerpots are replacing the drab, single color injection molded flowerpots. 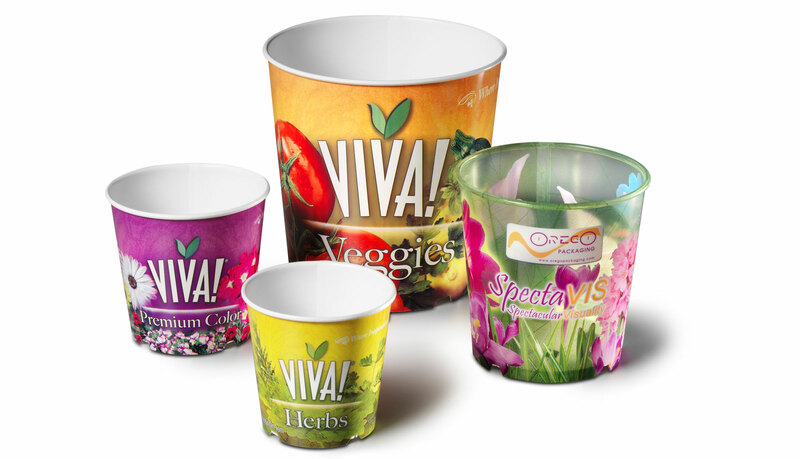 These convolute containers range from 10-ounces to 1-Gallon, are formed from pre-printed plastic blanks and offer brilliant printing for brand recognition and growing instructions. Containers are run on PMC 1003P and PMC 1300P machines for the US and overseas markets The dynamic graphics leave no room for comparison.